House Sellers / Landlords / Vendors don’t want you to cold call them. They don’t want to be interrupted by an estate or letting agent whilst they are getting on with their busy life – trying to earn a living. Why the hell would you want to be interrupted in a telephone call that they haven’t agreed to? Then there is the Social media equivalent. Individuals don’t want to accept your invitation to connect on LinkedIn .. then have a cut and paste your sales pitch one minute later. 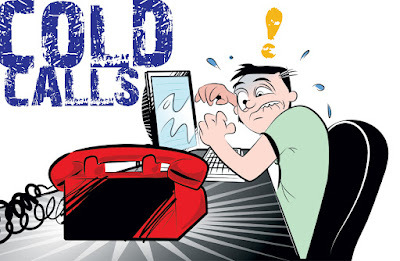 .. but at least with that interruption, all you have to do is hit delete .. its better than the ‘cold call’ interruption where you get unlucky and take the call – you have to politely tell the sales person to **** off – and that isn’t nice … and so that causes tension. .. but at least with emails and social media form of interruption better because it allows you to avoid tension. You see there is a reason your prospective landlords and house sellers allow their mobile calls to go to their voice messages. They don’t like the tension that comes with saying ‘no’ to your request for an meet up. Even if they do answer, sometimes they ask you to email them so they don’t have to tell you ‘no’, robbing you of the opportunity to get the listing. Fellow agents, you make things difficult for yourself when you agree to allow the landlords and vendors you are trying to help hide behind their email. But you agents make it worse when you live behind email as well. Two people (an agent and a landlord/vendor) evading each other because they are afraid of the smallest amount of tension does not a agreement make. When you lose a property, it’s difficult for your prospective landlord or house seller to tell you that you lost. They will undoubtedly will tell you that they were impressed with you (and your firm .. and your services) and that the decision came down to fee. .. but if everyone wanted the cheapest .. everyone would use the cheapest agent in town. The low fee argument doesn’t cut the mustard. You see its so much simpler to have a conversation about something that was out of your control (ie your fees) than it is to tell you that they knew, liked and trusted another agent more than they knew, liked and trusted you. Selling is about talking, agreement and promises. Like most human activities, there is some inherent small amount of tension.